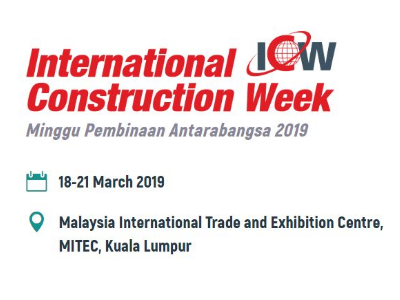 The year 2019 marks ICW’s 21 st edition bringing together construction industry players to showcase, learn, build partnerships and share innovative ideas in this region’s biggest construction event. The event will be held from 18 – 21 March 2019 in MITEC, Kuala Lumpur, Malaysia. Be a part of ICW 2019 and you will find that it is the best platform for you to source for the best solutions that the Construction Industry has to offer. A great opportunity to meet up with world-renowned companies and explore lucrative opportunities in the Construction Market. UBM Malaysia is proud to bring you its biggest ever mega trade fair dedicated to all aspects of construction and the built environment. For the first time ever, eight industry leading exhibitions from the ASEAN region will be held under the same roof from 19 – 21 March 2019 at Malaysia’s biggest exhibition venue, Malaysia International Trade & Exhibition Centre (MITEC). As the largest new combined regional exhibition for the construction, engineering, energy, heavy machinery & equipment and security industries, ASEAN Super 8 offers unparalleled value to its exhibitors, sponsors and visitors. From top industry players to newcomers, everyone will have the opportunity to showcase their innovations, source for suppliers, make valuable contacts and stay updated with the latest industry trends like never before in this one-of-a-kind trade exhibition and conference. 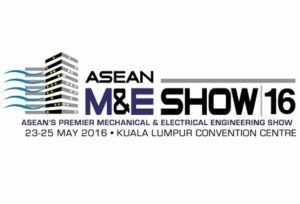 ASEAN M&E is the premier Mechanical and Electrical Engineering show in Southeast Asia and is one of the biggest not-to-be-missed shows in the region. ASEAN Lift Expo & Forum is dedicated platform to all the manufacturing companies of lift and escalator industry. ECOBUILD SEA is a premier leading trade fair dedicated to companies and individuals within industries related to construction, sustainable design, energy and the built environment. HEAVY MACH is a pioneering exhibition in the heavy equipment industry sector, featuring machines such as the backhoe, crane, wheel loader, grader, forklift and bulldozer, along with the full spectrum of their services, spare parts and accessories. IFSEC SEA is the Southeast Asia arm of the global IFSEC series of exhibitions that focuses on some of the wold’s most critical issues, namely security, fire and safety. 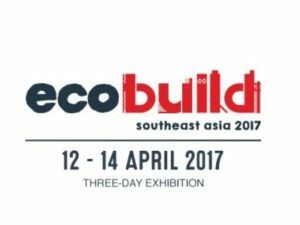 Ecobuild SEA & ICW 2017 are the leading construction events for Southeast Asia specifiers in the built environment and energy market. Attracting over 10,000 industry professionals, senior level decision makers and influencers from architects and developers to local government and major infrastructure clients. The 2017 the event will focus on ‘Quality and Safety’ to reflect the importance of improving quality and safety in construction to keeping up with industry growth. It will also showcase market priorities such as building, housing, infrastructure, technology and innovation, and exploring sustainability as a driver to innovation and growth, a catalyst for regeneration and as a way for organisations to do better business. The Ministry of Works, through the Construction Industry Development Board (CIDB) Malaysia has developed the Construction Industry Transformation Programme (CITP) to empower and strengthen the construction industry as outlined in the thrusts of the 11th Malaysia Plan. The construction industry is recognised as a prime economic mover in Malaysia and is projected to remain robust in 2016 with high investments in infrastructure projects from both the public and private sectors. 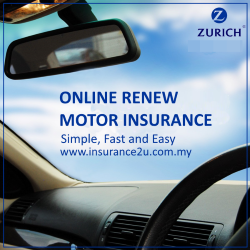 This will continue to grow by at least 10.3 percent annually in contributing approximately RM 327 billion or 5.5 per cent of GDP by 2020. Several high impact projects of the Government’s initiatives under the 11th Malaysia Plan such as the Pan Borneo Highway, Central Spine Road, West Coast Highway, Klang Valley Mass Rapid Transit, Refinery and Petrochemical Integrated Development (RAPID) and Light Rail Transit 3 (LRT3) have contribute to this growth. The CITP which sets important goals and milestones to bring Malaysia’s construction industry to the next level aims to transform the construction industry. As such, the CITP offers tremendous opportunities to increase the reach, effectiveness and comprehensiveness of training and development to raise it to world class levels which will benefit all industry players. In addition to this, the CITP’s aspiration to increase productivity encompasses enhancing knowledge content by increasing the quality of human capital and accelerating capabilities and capacities in building SMEs as well as reducing the mismatch between labour and supply. Apart from infrastructure projects, the Government plans to make affordable homes available through initiatives such as the Program Bantuan Rumah (PBR), Program Perumahan Rakyat(PPR), Rumah Mesra Rakyat 1Malaysia (RMR1M), Perumahan Rakyat 1Malaysia (PRIMA), Rumah Wilayah Persekutuan (RUMAWIP) and also Perumahan Penjawat Awam 1Malaysia(PPA1M) with 653,000 of these homes to be built for the public. Malaysia is placed among the world’s top 20 most competitive economies and is ranked the highest among developing countries in Asia. The report measures the ability of over 140 countries to provide quality of life t their citizens. 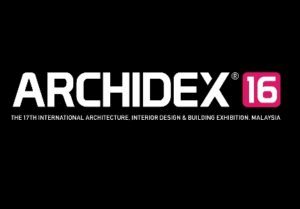 ARCHIDEX 2016 – South East Asia’s most successful annual industry trade event for the architecture, interior design and building fraternity – ARCHIDEX (International Architecture, Interior Design and Building Exhibition) has continually been reaping phenomenal success and garnering steady growth through strategic planning and partnerships since its introduction in 2000. Held annually at the Kuala Lumpur Convention Centre, Malaysia, the exhibition is widely recognised as a leading event that draws together South East Asia’s fraternity of architects, interior designers, developers, urban planners, engineers, academicians, students and various related industry professionals. ARCHIDEX is jointly organised by the Malaysian Institute of Architects (Pertubuhan Akitek Malaysia or PAM) and C.I.S Network Sdn Bhd, a leading Malaysian trade and lifestyle exhibitions organiser. 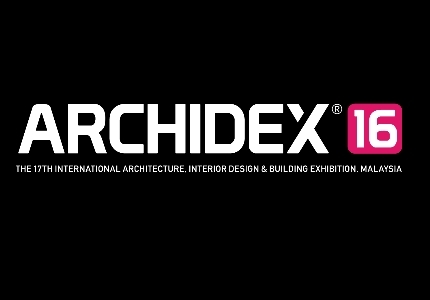 Awarded the MyCEB/MACEOS – rAWr Award 2013 & 2015 for Best Trade Exhibition and also the MACEOS 2011 Award for Industry Excellence, ARCHIDEX continues to strive and it currently occupies a highly coveted position at the forefront of the region’s robust architecture, design and building industry. Mark your Calendar for ARCHIDEX 16 at the Kuala Lumpur Convention Centre, Malaysia from 20 – 23 July 2016 and be a part of the regional force of advancing architecture in Asia. 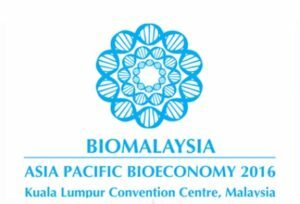 The Ministry of Science, Technology & Innovation (MOSTI) and Malaysian Biotechnology Corporation (BiotechCorp) are proud to be the host of BioMalaysia & Asia Pacific Bioeconomy 2016. 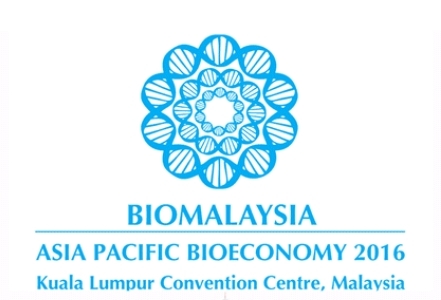 BioMalaysia & Asia Pacific Bioeconomy has established itself as one of the key meeting points for industry professionals. Over the years, the event continues to increase its value as a platform for the birth of fresh ideas, practical solutions and effective collaborations for global and Malaysian biotechnology industry participants. Malaysia, as one of the most competitive biotechnology hubs in the Asia Pacific Region, has also recognised the importance of a Bioeconomy, and has taken early critical steps in coordinating and intensifying national efforts to harness Bioeconomy’s potential through the implementation of the Bioeconomy Transformation Programme (BTP). BioMalaysia & Asia Pacific Bioeconomy will be showcasing the latest technologies, innovation and products from major local, regional and international biotechnology companies. Occupying three halls, exhibitors are expected from United Kingdom, Australia, Korea, United States of America, Japan, Hong Kong, Taiwan, China, India, Vietnam, Thailand, Indonesia and other biotechnology-advanced countries. Biotechnology enthusiasts are guaranteed to be awed with refreshing and latest developments that signify the advancement of biotechnology industry. 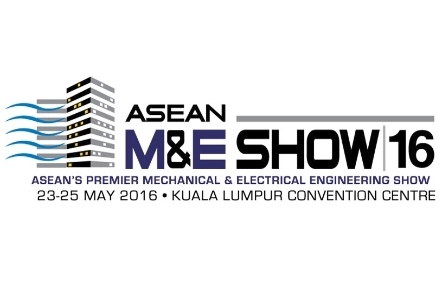 Asean’s premier Mechanical & Electrical Engineering Show. 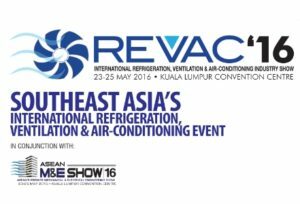 This event meets the needs of developers, M&E engineers / consultants, architects, building / facility managers, electrical / building contractors, air-con refrigeration professionals, energy producers, retailers and distributors all under one roof. The three-day biennial show, considered as Southeast Asia’s largest industry platform, combines three top events, TENAGA Expo & Forum – Power & Electrical Industry Show, Green Energy Asia Exhibition and Conference – Green Technology & Renewable Energy Show andREVAC Show & Symposium – Refrigeration, Ventilation and Air-Conditioning Show. Over 350 exhibiting companies have confirmed their participation, with displays filling up to 10,000 gross square meters of the entire ground exhibition halls of KLCC. The show is set to welcome more than 10,500 trade professionals, decision-makers, potential buyers and partners from 51 countries in different regions around the world.